Dengue fever becomes one of the serious vector-borne diseases in the world, particularly in tropical countries. Mosquitoes borne disease transmission are mainly transpired by physical, environmental and socio-economic variables. Therefore, disease mapping is essential for monitoring, prediction, and prevention of dengue. Accordingly, the aims of this research are to find out the dengue outbreak, spatial pattern, understand the factors and construct a risk map to accurately predict and control of dengue. For this purpose, the Kharagpur city of West Bengal has been selected which is frequently encountered with the dengue outbreak. Epidemiological data were collected from the district health department. 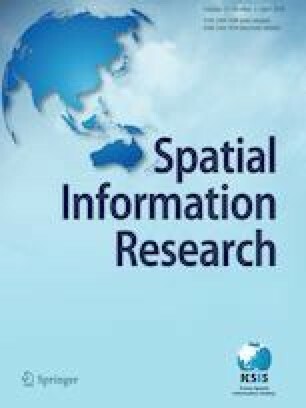 The spatial scan statistics of the Poisson model and Local Moran’s I is used for the mapping of spatial patterns and concentration of dengue and Monte Carlo hypothesis testing was applied to test the significance of the result. Therefore, multiple logistic regression analysis has been applied with selected parameters to produce a risk map for the entire study area. Finally, this study has proposed suitable site-specific management strategies. However, this study provides an example of disease risk estimation which will be remarkable for spatial analysis of epidemiological research as well as health planning and disease surveillance. The online version of this article ( https://doi.org/10.1007/s41324-018-0224-9) contains supplementary material, which is available to authorized users. The authors are thankful to the students of post-graduate research groups of the year 2017 for cooperating field survey and especially thanks to the Chairman of Kharagpur Municipality for providing the epidemiological data. The authors also thanks to Sanchita Barman, Ravi Kumar Shaw, Sathi Yasmin and Apurba Dinda for their contribution in every aspect. The authors also thanks to UGC (New Delhi, India) for providing research fellowship. Rodriguez-Roche, R., & Gould, E. A. (2013). Understanding the dengue viruses and progress towards their control. BioMed Research International. https://doi.org/10.1155/2013/690835. National Vector Borne Disease Control Programme, Ministry of Health and Family Welfare Government of India. http://nvbdcp.gov.in. Accessed on December 26th, 2017. Census of India, West Bengal State. (2011). Office of the Registrar General and Census Commissioner, India 2/A, Man Singh Road, New Delhi, 110011, India. www.indiacensus.gov.in. Accessed 26 Nov 2018.